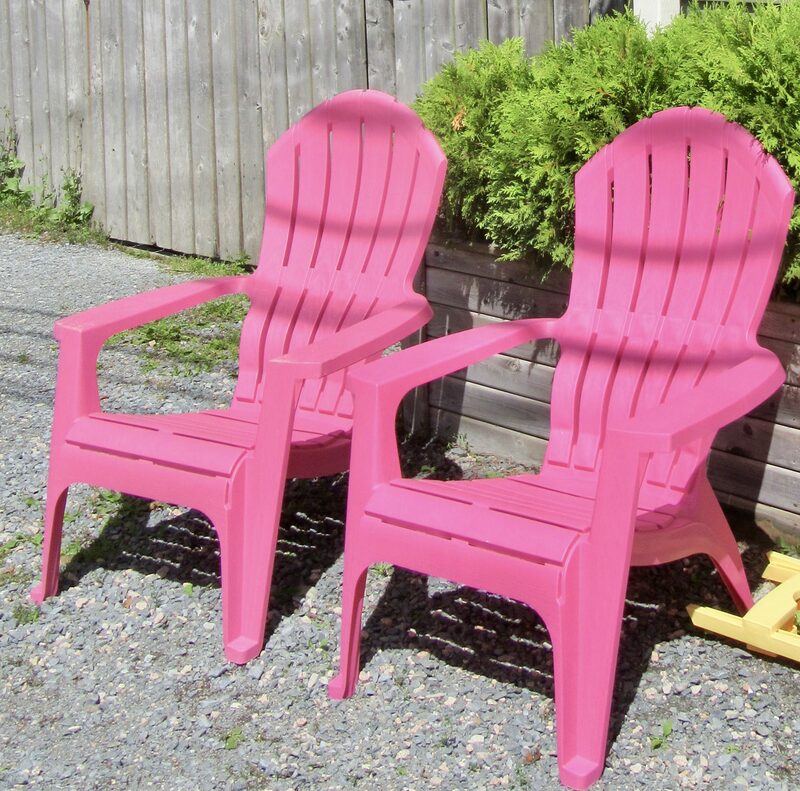 I spotted this pair of bright Pink Adirondack Chairs late last summer in Nova Scotia, while I was on a shore excursion during a very fun and unexpectedly cold cruise of Canada and New England. I wish I had had the presence of mind to kick that yellow plastic table out of frame. Hindsight: 20/20. 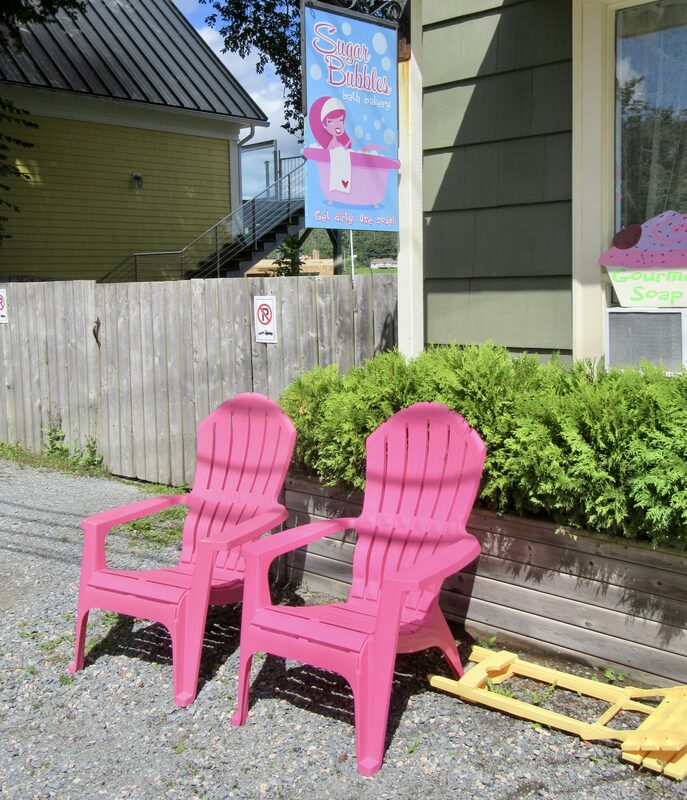 Photographed at Sugar Bubbles Bath Bakery, Mahone Bay, Nova Scotia, Canada. ← Warranty Void If Seal Is Broken T Shirt!